After several weeks of practising their drawing and mark-making skills, our hard working first years have finally reached the point were it’s time to start making things move. 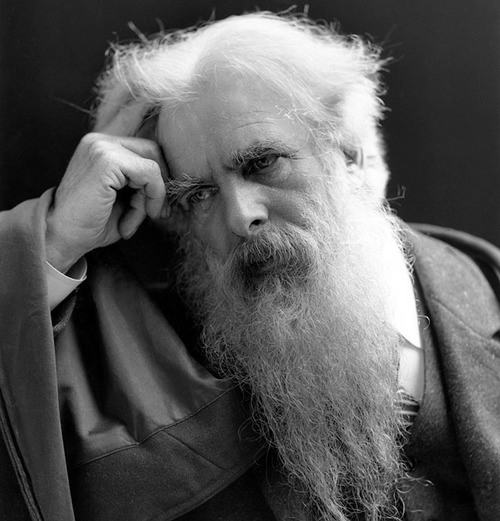 To this end, today I introduced them to the larger-than-life colourful character of Eadweard Muybridge, who was one of the first people to use photography to study how people and animals move. Thus making his ‘oeuvre’ a great source of research and reference material for budding animation students –especially those studying at a college which doesn’t have eleventy billion quids’ worth of MoCap equipment to call on. 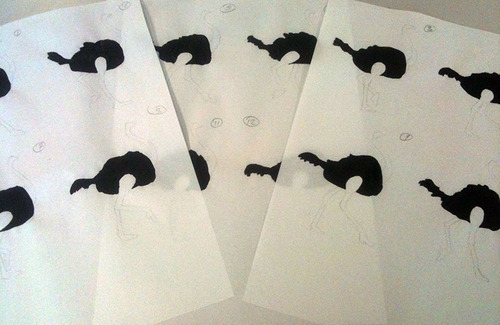 Tracing from the Muybridge sequence, produce a ‘lifelike’ version of that sequence. Import the drawings into DragonFrame to animate them. Using your Muybridge sequence [or choose another if you want], produce a new sequence of drawings featuring your own character or creature, but with the movement based on using the Muybridge photos as reference for the various poses. Again, import the drawings into DragonFrame to animate them. Here are my initial tracing sheets. I’ve decided to work with pen [or brush] & ink at first and then maybe add a bit of colour with watercolour afterwards. I’m working across the sheets, filling in the same body part on every ‘frame’ rather than producing a complete frame one at a time, as I think this makes for more consistency across the frames. 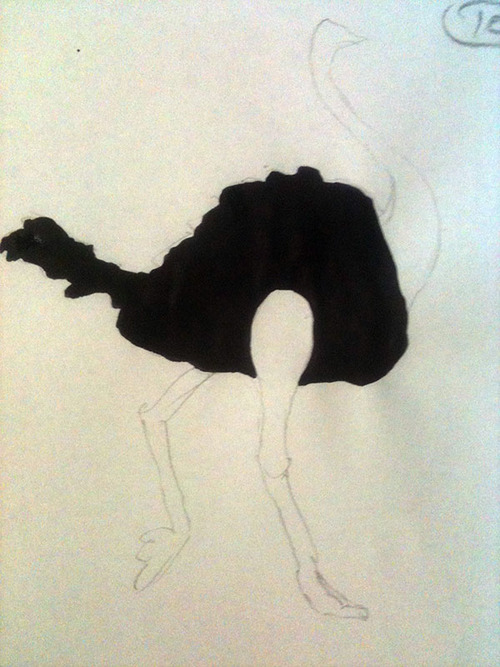 As you can see, I started inking in the ostrich’s body first, across all the frames. I must say I’m pretty disappointed with the quality of the so-called Indian Ink we’ve got in our art stash. Admittedly it was pretty budget stuff from Seawhites, but it’s piss thin and not even waterproof. So I had to use two coats, just to get decent coverage, which caused the thin layout paper we’re using for easier traceability to wrinkle like Methusela’s scrotum. That’s as far as I got today. 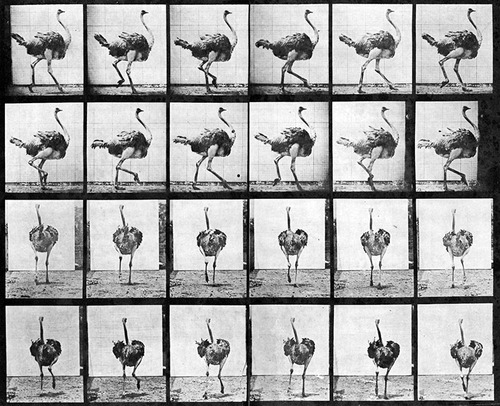 More Muybridge themed shenanigans tomorrow!